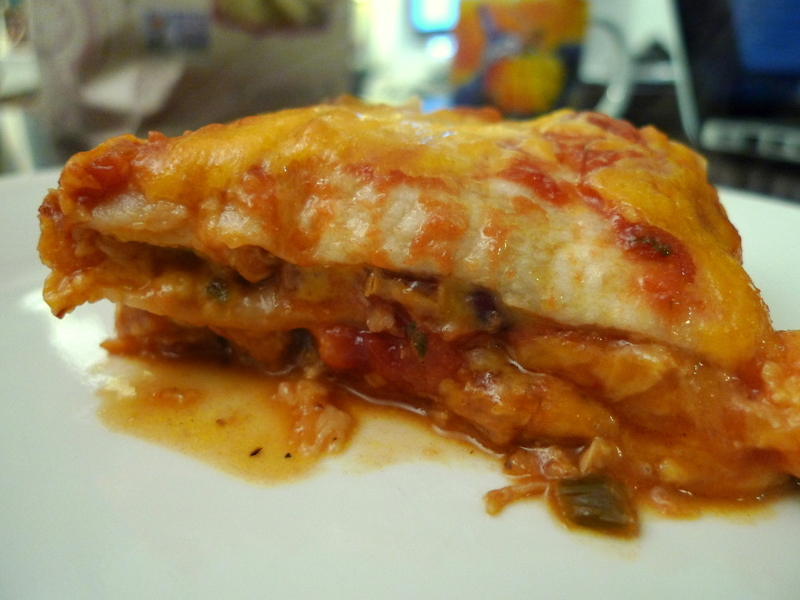 For our “Gourmet Game Day,” my friend Hans made a Layered Chicken Enchilada Casserole. It was quick and easy to prepare, and even shredding chicken was surprisingly simple. Detailed instructions are below, but essentially all you need to do is boil chicken and then shred! The dish was extremely flavorful with a perfect amount of spice and heat… and a bubbling cheese topping is always a welcome touch. Some adjustments for next time: I think we will double the amount of kidney beans and add some olives and corn to the layers. Yum! Serve with sour cream and perhaps some Guacamole… or if you are feeling fancy, try whipping up some zesty Mango Pomegranate Guacamole. 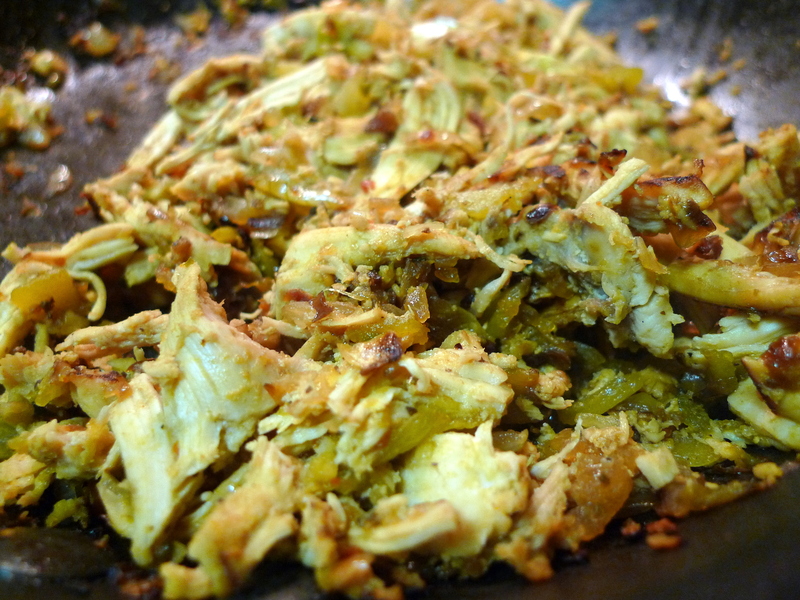 About 2 lbs of boneless, skinless chicken breasts will yield 2-1/2 cups of shredded chicken. Bring a large pot of water to a boil. 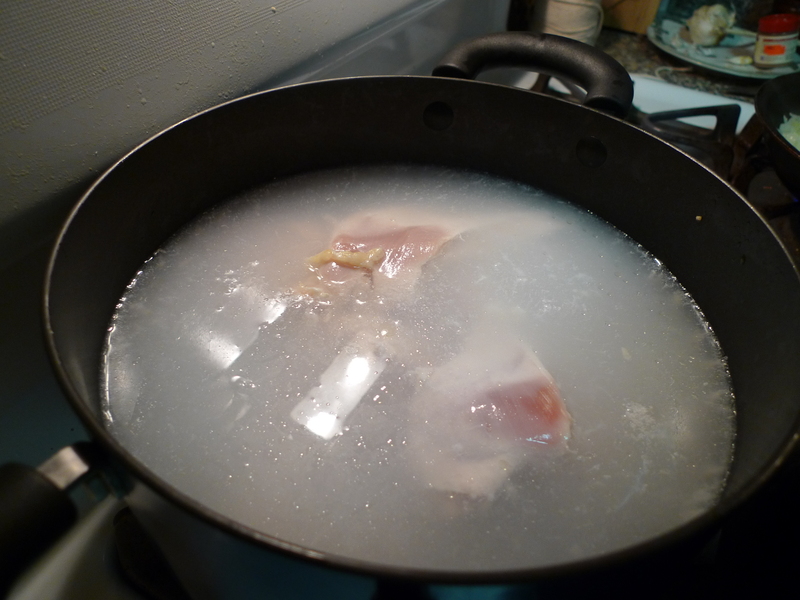 Once boiling, place boneless skinless chicken breasts in the pot. Boil until chicken is fully cooked, about 20 minutes. Let chicken cool for about 5-10 minutes. Place chicken on a plate and hold the chicken breast with one fork. 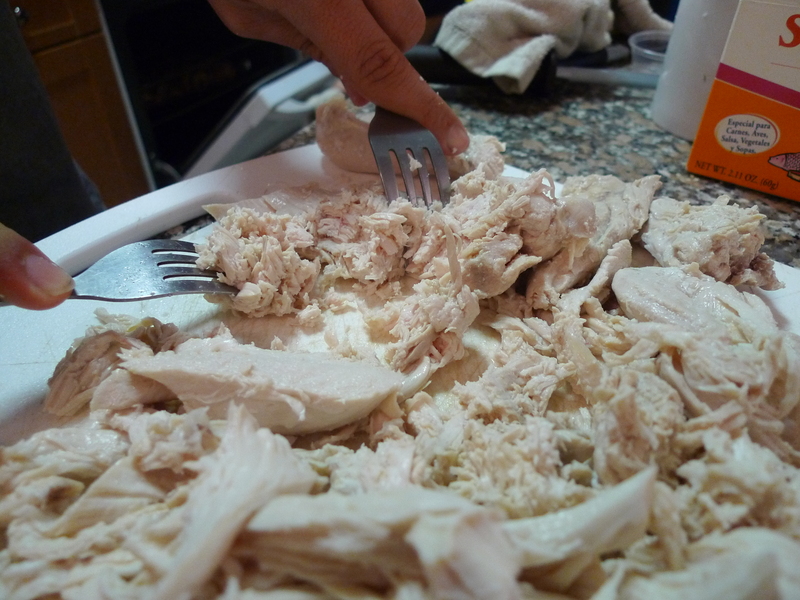 Use a second fork to pull at the chicken and it will shred off in small pieces. Preheat oven to 350. Grease 13×9×2-inch baking dish. Heat oil in large skillet. Cook onion, stirring occasionally, until tender. Remove from heat. Stir in shredded chicken, green chilis and seasoning mix. Arrange 1/3 of the tortillas at the bottom of baking dish. 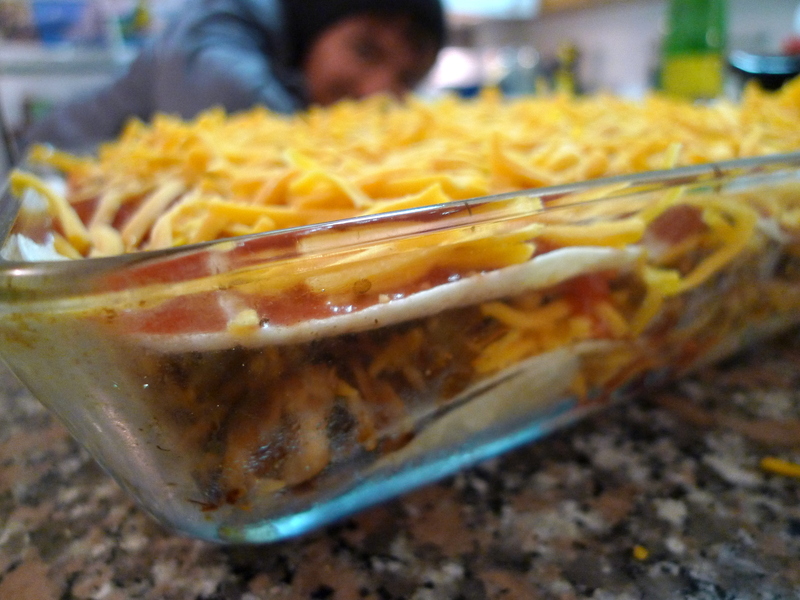 Top with half of the chicken mixture, half of the beans and 1/3 of cheese. 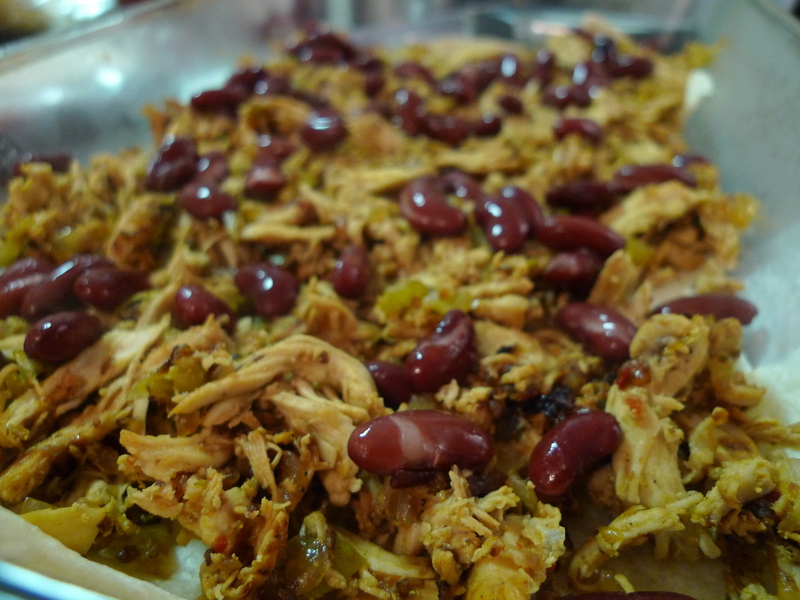 Repeat another layer of tortillas, chicken mixture, kidney beans, and cheese. Pour half of the salsa on top. 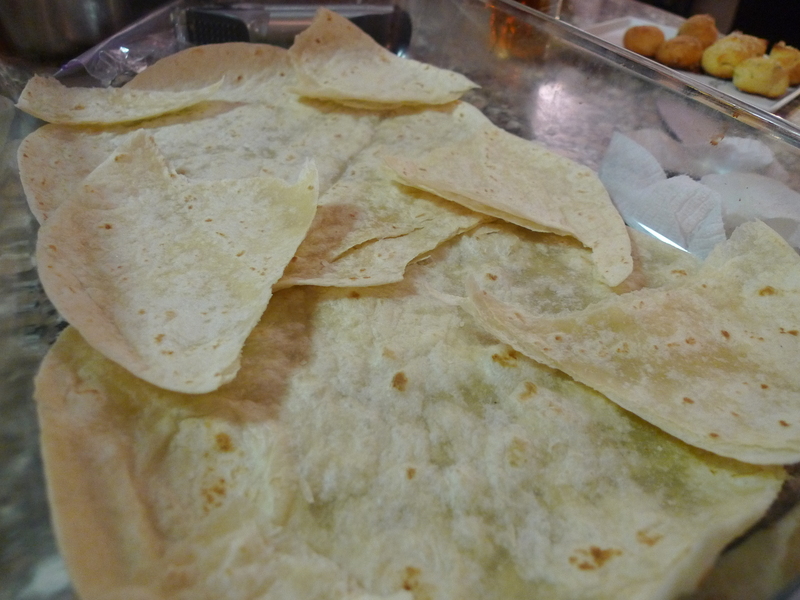 Top with the remaining tortillas, salsa and remaining cheese. 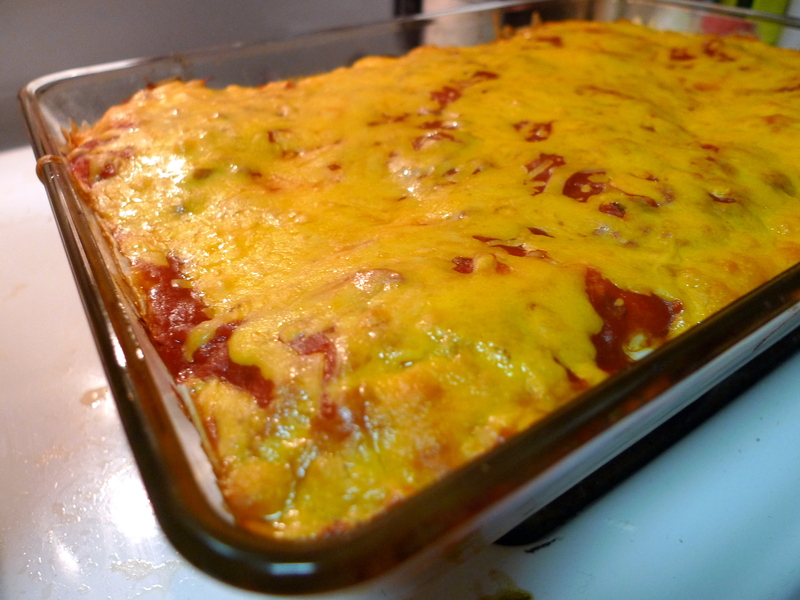 Bake for 30-35 minutes or until heated through and cheese is melted. Cool slightly before serving. Top with some sour cream, and perhaps serve with some Guacamole!